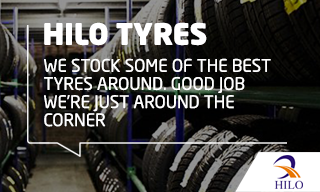 Hilo provide an excellent tyre for the discerning user who is concerned with getting good value for money. The brand has gained recognition in recent years for its high quality and performance. Now available in over 60 patterns, Hilo are always striving to develop their range. Many of the patterns available have been developed with comfort as well as performance in mind and have features to reduce noise and increase grip. The world class production site pride themselves on producing a safe, high quality and good value product.